If a manufacturer releases a new version of an existing club and markets it as more forgiving, the natural instinct is to run an apples to apples comparison testing the two versions head to head; so that’s just what I did. 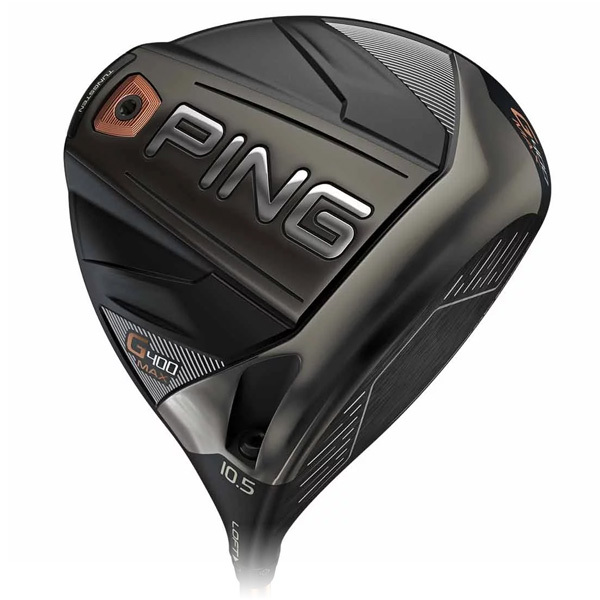 I went over to our friends at Pro Golf Discount in Bellevue, Washington and jumped on their Foresight Launch Monitor to pit the Ping G400 driver against the new member to the family, the Ping G400 Max driver. Everything I read about the G400 Max indicated the larger profile would produce a bit more forgiveness than the standard G400 driver, but should have similar overall results. Before we get to the results, I wanted to briefly mention the design of the new driver and how it compares to the standard version. The G400 Max driver utilizes a lot of the same technologies and features as the standard G400 Driver: a thin T9S+ forged face for ramped up ball speeds, Dragonfly technology with bolder turbulators for reduced drag and increased clubhead speed, and an internal rib structure that produces a deeper, more muted sound while also enhancing feel. The G400 Max driver also features the same high-density tungsten back weight that further increases MOI and elevates forgiveness. The extra forgiveness in the G400 Max head comes from the additional 15cc which produces an MOI of 9900 compared to the 9000 produced by the G400 head. Ping says this increase in MOI equates to greater forgiveness and higher ball speeds across the entire face. A claim my testing backs up. Another nice upgrade on the G400 Max is the appearance. The crown was left unaltered and while it may seem busy when directly focusing on it, the turbulators were not distracting and helped frame the ball at address. The graphics on the sole are livened up a bit with chrome lettering that add a bit of extra pop, but the biggest visual change is the face. An angular sweet spot is outlined by a solid line that sits inside the scoring lines. This made lining up shots a breeze. From the chart above, the average results look very similar on the surface. I took 10 swings with each driver (2 intentional fade swings each), both with 10.5° heads, the Project X HZRDUS Yellow 6.0 Stiff shaft and Titleist Tour Soft balls. With a natural swing, both drivers produced a slight draw that finished a little left of the target line. The dispersions of the two rounds of swings are represented by the thicker dashed ovals in the image below. The Blue oval, the dispersion of the G400 Max, is well within the red circle of the G400. The thinner dashed ovals represent the results controlling for the drives I intentionally hit with a fade and once again the G400 Max driver dispersion is tighter than the standard G400. In addition to the visual representations of the dispersions a bit of a deeper dive into the numbers from individual swings highlighted a few trends that also support the claims that the G400 Max is more forgiving and produces better ball speeds across the entire face. The standard G400 driver had the fastest and slowest ball speeds (162.1/153.9 mph) and the longest and shortest total yards (307/276 yards) compared to the G400 Max (161.7/156.6 mph) and (302/285 yards) respectively. With less variation per standard deviation across the board from the G400 Max driver, I was not surprised to see it produce a tighter dispersion as you can see in the image above. With 3 existing G400 versions, this driver adds a 460cc option for everyone to try! This version will appeal most to players looking for added forgiveness or a tighter dispersion from their driver. For more information on the standard Ping G400 Driver, check out the G400 Expert Review from last year by Bob Gomavitz.